About Company: Central Water Commission Central Water Commission is a premier Technical Organization of India in the field of Water Resources and is presently functioning as an attached office of the Ministry of Water Resources, Government of India. 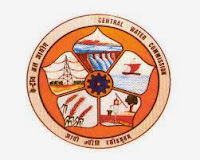 How to Apply: Apply in the prescribed application form address to : The Superintending Engineer, Central Water Commission, Godavari Circle, H.No. 11-4-648 (Room No. 304) Krishna Godavari Bhavan, A.C.Guards, Hyderabad – 500 004. Sale chutiye admin teri TRP me badhaunga kbhi.....ITI ki jobs h and show B.Tech krta h...bloody SOB..